Conveyor pulleys are utilized to move a conveyor belt and the product being carried by the conveyor belt. The conveyor pulleys are powered in various ways. The conveyor pulley itself may be motorized, it may be coupled to a gearbox or motor, or they are often belt or chain driven. There are many styles and options of conveyor pulleys, which style utilized are highly dependant on the application and size requirements of the product being conveyed. 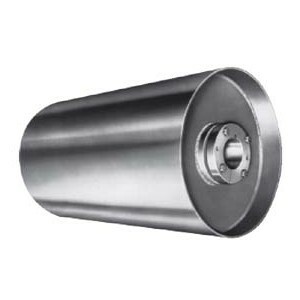 Some common conveyor pulley styles include: Drum, Elevator, Wing, Snap Back, Spiral, Disc, Unit Handling and Lag pulleys. Each style pulley has features and benefits that are application specific. Conveyor pulleys can be manufactured out of numerous materials, including steel, rubber, plastic and aluminum. Because of the wide array of conveyor pulleys available, please contact Bearing Service to assist in identifying the right product for your application.